Parenting children is much like a marathon. Marathon runners train before races. They build up their stamina; they watch what they eat; they also learn from other runners. When you found out you were expecting, you trained, too, didn’t you? You bought all the parenting books, read all the magazines and blogs, whatever you could get your hands on. I know because I, just like you, wanted to be the best mother I could be. You watched what you ate. You exercised. You didn’t want to put on too many extra pounds, and you wanted only the best nutrients to go to your babies in your womb. And didn’t you talk to other moms, especially those whose children seemed perfect? You wanted to know that secret in raising the perfect child. I did, too. Then the arrival day came and you believed all your training was about to pay off, until the doctor told you that something was “wrong.” It was that moment you realized your biggest fear was about to come true: you had trained for the wrong race. This race looked different –it was not just a marathon. No, this marathon had hurdles to jump and you had no clue how to jump hurdles. The world seemed to spin, but then you looked at your newborn and knew that you must learn, if not for yourself, then for that precious child. 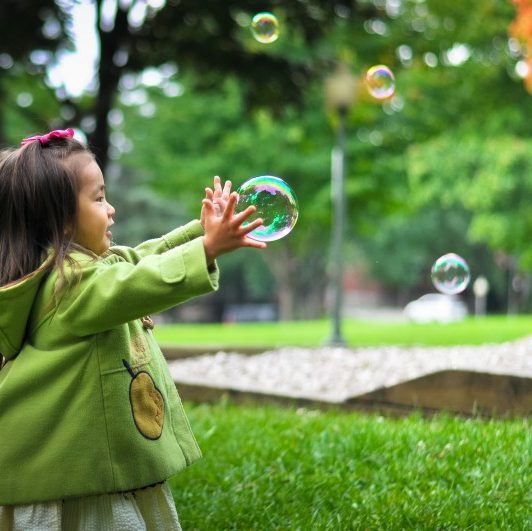 With little training, you lifted your leg high, yet stumbled and possibly fell over that first hurdle, which dealt with understanding and accepting your child’s diagnosis. Within the next few strides (or less) was the shock of medical needs and/or therapy needs. Then of course, right behind that was the financial hurdle that seemed to be ever so high. During those first few difficult hurdles new resources began to replace the old ones. Gone were the parenting books. In their place were books with words that seemed like a foreign language. Therapists, specialists, and organizations run by other parents became your life-line. The pace of life seemed to be at a sprint because early intervention was a priority. A new schedule replaced your old one. What you thought would be blissful days of joy, turned into trips to therapy and/or appointments for surgery. Motherhood was not what you expected. In fact, this life-change was not at all what you wanted, but for some strange reason you didn’t want to give it up. That helpless little person in the crib next door needed you. You were needed, and that felt good. I can safely say that as days turn into months and months into years, the sprinting stops and the speed of life steadies to a point that seems manageable. This happens with time. At first everything is new and chaotic. As time goes by, you get into a routine, which leads to a steady pace. Though, you have to be careful not to fill up your time with too much or you’ll find yourself sprinting once again. The key to maintaining a manageable pace of parenting a child with special needs is prioritizing your life. What is important? What is necessary, not just for your child with special needs, but also for your other children, your husband, and even yourself? Sometimes we have to say “No,” and that is okay. 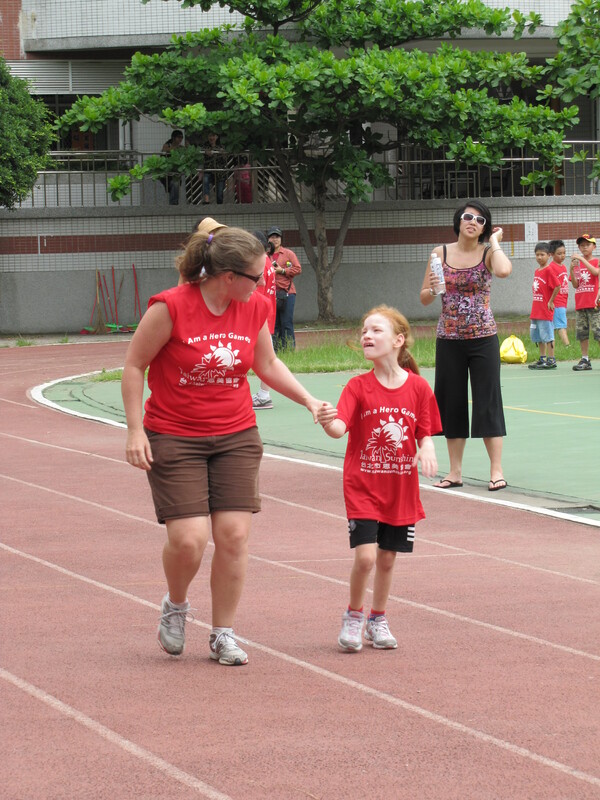 MaDonna running with her daughter in an “I Am a Hero Games” in Taiwan. 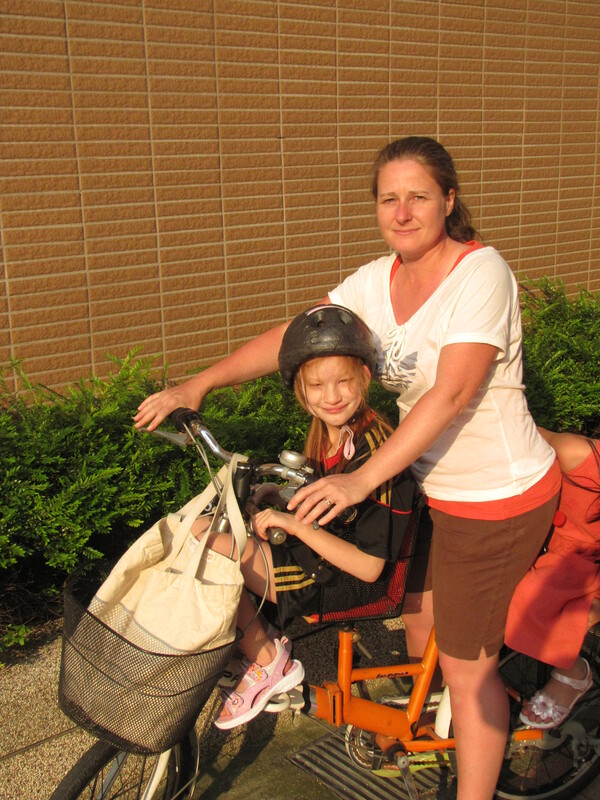 So, how are you doing on your race as a mother to a child with special needs? Are you standing at the first hurdle trying to figure out how to get over it? Or are you farther down the track at a steady pace enjoying your family and having fun? Or are you at the point where your sides are heaving and you’ve realized that it is because you’ve been doing too much and need to drop some activities or therapies to get you back to that steady pace? Because you know, that steady pace is where our family wants us and where we can be the best mom/wife we can be.